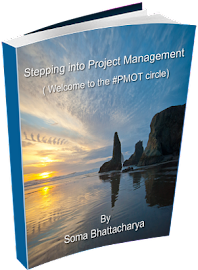 Stepping into Project Management - the journey continues: Who is a PM? A Warrior and a Healer. Says John Caroll in his Blog. For so many of us, who want to be full fledged PM, it's a great lesson. To know how to act, when to act and to find the perfect timing to retreat back and let the rest just happen. Easier said than done, I know it is really hard. This is exactly where the experience comes in. Your action speaks of your ability as a PM and I have faltered at it so many times and then regretted later about my actions. 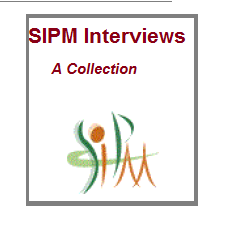 "The project manager can act as a warrior or as a healer. As a warrior, showing power and decision, he displays the Yang or masculine aspect of leadership. 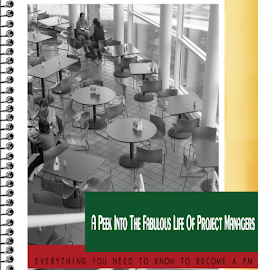 But most of the time the project manager acts as a healer in an open, receptive and nourishing way. Providing help and assistance to the team members and encouraging them to do their work for the benefit of the project. This is the feminine or Yin aspect of leadership. This mixture of doing and being can be very productive. The third aspect of leadership is the Tao. From time to time the project manager needs to withdraw from the team and return to silence. 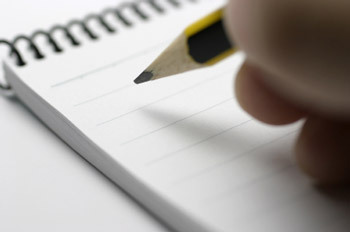 Be there, do it and then withdraw to replenish the spirit, which is the way of the project manager. Knowing when to act, when to listen and when to withdraw is the way. I know this for this is the way of the project manager." But keep a woman’s care! Be the stream of the universe! Become as a little child once more. Be an example to the world! Be the valley of the universe! Return to the state of the uncarved block. When the block is carved, it becomes useful. When the sage uses it, he becomes the ruler. I think I'm just going to print this out and pin it on my board. Thanks John for the great posting!